The Cadent iTero Digital Impressions System had made digital dentistry a reality. 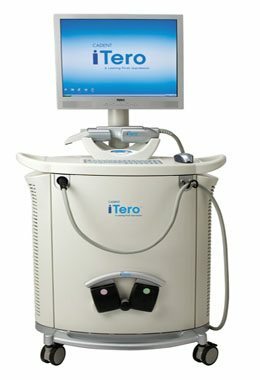 Using the very latest digital scanning technology, Cadent iTero creates a “virtual impression” that eliminates all conventional impression technique problems including voids, pulls, and tears. iTero puts an end to all tray issues like delamination and tray impingement. iTero ensures adequate preps and clear margins. Patients experience a comfortable alternative to traditional impressions while you enhance your reputation as high-quality practice. Using iTero’s CAD software, Castle Ceramics Dental Lab designs the framework for precision fit restorations or approves model-work for metal free restorations. Models are milled at Cadent iTero’s Service Centre and delivered to Castle Ceramics Dental Lab along with milled copings for aesthetic ceramic layering and finishing. The end result? Superior fit with little or no adjusting, and greater patient satisfaction.